CLASSIC American cars and trucks will be on display at the Gilmore Heritage Auto Show. 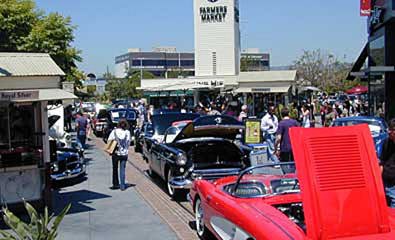 Several Avantis, built in 1962 and 1963, will star at the 19th annual Gilmore Heritage Auto Show Sat., June 1 from 11 a.m. to 5 p.m. at the Farmers Market at 3rd & Fairfax. Among the 100 classic American cars and trucks on display, will be Studebaker’s Loewy-designed fiberglass car. Only 5,800 were built. The cars on display span five decades, from a 1927 Ford Model T to a 1977 Ford Ranchero. Mustangs, Cobras Corvette Stingrays, Dodge Challengers, Ford Mustangs and Cobras and a Dual Ghia convertible—the official car of the Rat Pack—are also in the show. The event is free.